This June 2017, VIP Studio Sessions has updated the layout of its core learning area – ‘Make Beats’ – making it even easier for young people to access guides to their favourite genres. VIP is the new … read the rest. At a time when Secondary Music is in need of a good news story we think we have just that. Over the past two years we’ve been rolling out the Charanga VIP Studio Sessions programme to … read the rest. 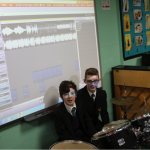 The team at VIP Studio Sessions has been asked by lots of teachers about the possibilities opened up by DJing and live electronic performance in terms of students at KS3 & 4. Having been asked to … read the rest. 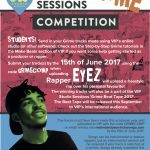 This summer term VIP Studio Sessions launches an exciting Grime competition for its users across the UK. Winners of the Grime competition will be featured in the VIP Grime Beats Tape 2017, released this September with … read the rest. At VIP Studio Sessions we are working with teachers across the country to build towards promoting an increased uptake of music qualifications, with the work done at KS3 a perfect introduction to the composition and music … read the rest. 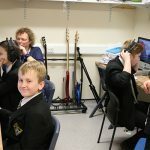 VIP Studio Sessions spent a day with students in Wakefield’s Castleford Academy as part of their House Music Masterclass prize. Whilst there, VIP author Max Wheeler spent time in the Hearing Impairment department and got the … read the rest. VIP Studio Sessions is launching a competition for students. We are asking students to produce their own Grime songs in the built-in studio. Using the step-by-step Grime tutorials, students are shown the mechanics of the genre, how … read the rest. 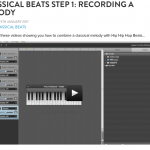 Charanga’s VIP Studio Sessions have followed their recent launch of the Ableton Live and Push resources, with the first step-by-step guides for 2017, called ‘Classical Beats’. These new guides help teach students to play a well-known … read the rest. We are pleased to showcase this impressive set of songs produced by students at All Hallows in Lancashire. The group of mostly Year 9 students have combined Dubstep and other styles to great effect, producing an … read the rest. Charanga are delighted to be exhibiting and presenting at the Music and Drama Education Expo 9-10 February 2017 at London Olympia. 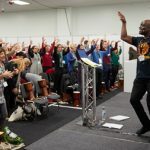 With over 60 professional development sessions, spanning panel debates, Q&A’s, practical workshops and seminars it’s a … read the rest.